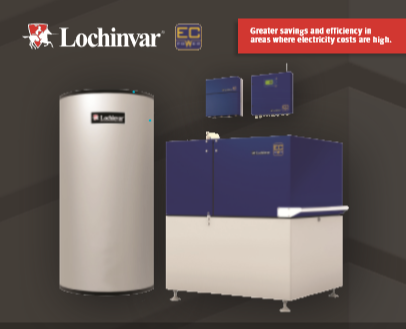 Lochinvar, an industry-leader in high-efficiency boiler and water heater manufacturing, and EC POWER, the top European producer of residential and commercial combined heat and power products, launched in January the XRGI25, one of the most cutting-edge cogeneration products to ever be released in North America. Lochinvar originally announced the strategic partnership with EC POWER in April 2018. Using an internal combustion natural gas engine, Micro CHP (< 50 kW/hr), is designed to be an efficient and easy-to-install system intended for light commercial use. Using natural gas as a fuel, a commercial facility with a cogeneration system like the XRGI25 can produce both energy-efficient heat for hot water and electricity to reduce energy consumption from external power sources.